Approximately 1 million Australians are been diagnosed with diabetes, and perhaps fifty percent more have diabetes they are unaware of. Incidences of type 2 diabetes, rise with age and are higher in men than in women. The statistics are also poor for children. The onset of type 1 diabetes is typically at a young age, and it is the most common form of childhood diabetes. Australia is ranked 7th highest in the world for type 1 diabetes in children aged 0-14 years. Even worse, there is a growing number of children and adolescents who are affected by type 2 diabetes. Why does this matter to us at A Supa Smile? Because diabetes can contribute to major damage to your teeth and gums including periodontal disease. 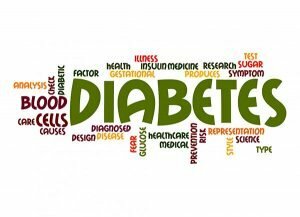 Why does diabetes make someone prone to periodontal disease? Periodontal disease, like other complication of diabetes, is linked to control of blood glucose. People with poor diabetes control get more gum disease than their peers, and also lose more teeth. Patients who control their diabetes, have about the same risk of periodontal disease as do people who do not have diabetes. Diabetes itself is not the problem; instead it is the levels of high blood glucose that come with poorly controlled diabetes. Managing glucose levels is the key to everything. Diabetics may suffer from burning mouth syndrome and fungal infections, including thrush and oral candidiasis. Dry mouth (xerostomia) can also be an issue, leading to an increased incidence of decay. Blood vessel thickening. In diabetes, blood vessels that deliver oxygen to the body thicken. Nutrient and waste transport in and out of tissues is impaired. This weakens gum and bone resistance to infection, and periodontal disease becomes more likely. Bacteria. Bacteria grows freely in the oral cavity of a diabetics with poorly controlled blood glucose. That bacteria can enter the gums and bone, which increases the likelihood of periodontal disease. Smoking and diabetes. Nicotine displaces oxygen in the blood stream. Smoking adds circulation issues to any that you might already have with diabetes. Smokers are up to five times more likely than nonsmokers to have gum disease. Diabetes with poor glucose control (remember increased blood glucose equals more plaque), combined with poor brushing and flossing habits can lead to periodontal disease. Plaque builds up and your gums become irritated, swollen, and may visibly redden. You may also notice that they bleed when you are brushing your teeth or flossing. This is the first stage of periodontal disease, called gingivitis. When gingivitis sets into your mouth and is untreated, the second stage, called periodontitis, occurs. This is an infection of the gums underneath and around the teeth. This infection enters little pockets in the gum, and causes plaque to build up and harden deep under the gum surface. If the infection goes deep enough to affect the bone, tooth loss may follow. Brush teeth at using gentle circular motions at least twice daily with a soft bristle tooth brush. Don’t forget to brush your tongue as part of your standard dental hygiene. And be sure to visit A Supa Smile regularly. We can treat periodontal disease, improving your dental and overall health. A Supa Smile is experienced in treating all kinds of patients. Our office is located just off of the Maroondah Highway with public transport nearby. For working patients we are open from Mondays to Fridays, morning until evening and Saturdays, until 3 PM. Emergency dental treatment is also available! Our dental practice in Croydon offers you the level of quality, caring dentistry that we would expect for ourselves. Fortnightly or monthly payments, on treatments above $1000, over max term of 3 years. We prefer minimum payment of $100/month.